Every time I come across this quote, I think, Salinger, mind your own business. Why don’t you? What skin is it off his nose if I experience autumn as a personal affront? I’ve got thirteen trees in my backyard and I appreciate them, for what seems to me, their differing personalities. The oak tree that grew straight and strong from a stump has fortitude. The apple tree, I sang to and coddled from a bark damaged neglected sapling, has grown with appreciation into a sturdy beast that threw down two bushels of large sweet apples this year. Trees can teach you plenty if you are still enough to listen to them. 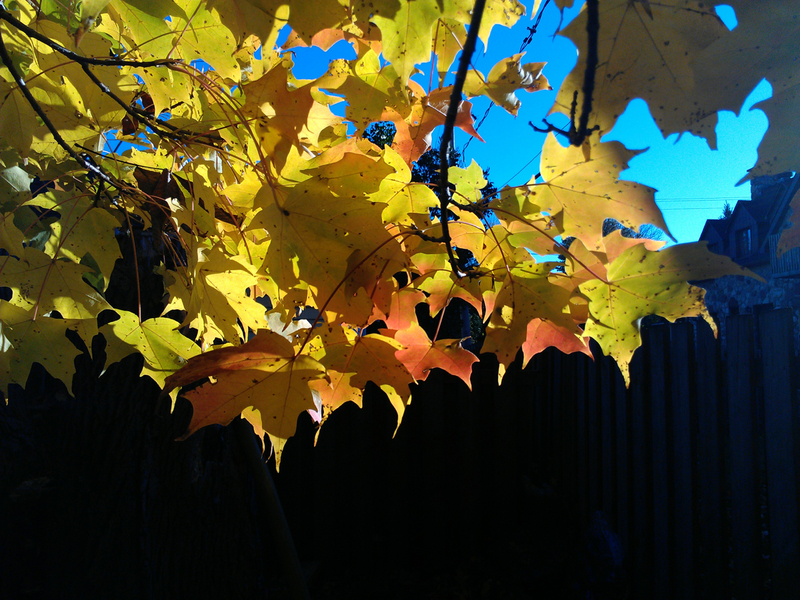 One maple is my quiet tree. It is over-shadowed by the trees that are bigger, make nuts, fruit, or scent, but for a brief period in the fall it shines. Its changing leaves range from bright-yellow gold to a deep-rosy salmon color. Situated where it is, it catches the rising sun for a few minutes a day; those minutes are embedded in my memory. Salinger seems to intone that weather is just weather. Not to me. 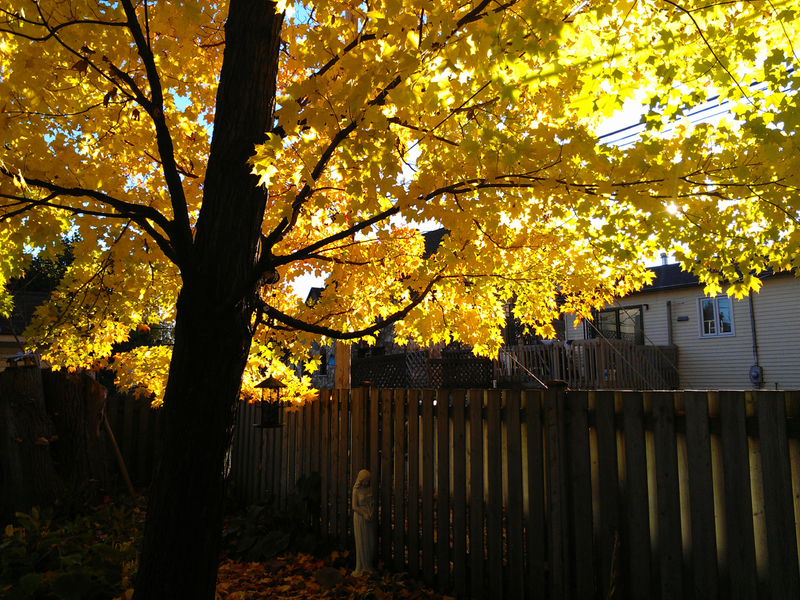 When that maple enters into its glory, it brings to mind that exact moment for every previous year. With nature, every fluctuation is a touchstone for the years before. Walking in the rain, reminds me always of a specific moment many years before. My friend’s mother died when a particular tree was in bloom. Poets understand that people connect with each other over our significances. The ability to attach the memory of our emotions to the changes of weather that we all experience cuts across geographical, cultural or chronological divides. Weather blesses and curses, and even if it be indifferent to us how could I seeing it alive, as I do, be indifferent to it. 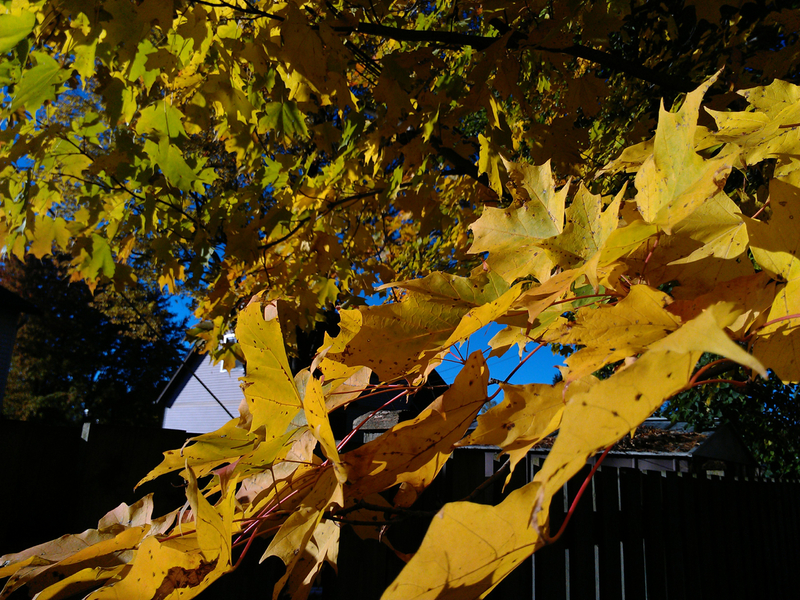 This entry was posted in writing and tagged autumn, j.d. salinger, memories, nature, poets, quotes, trees, weather by stephanie roberts. Bookmark the permalink. Thank you Lois. Your warm words are greatly appreciated. Need I say, I love this piece and it brings tears to my eyes ! You are so right ! The trees , the weather , the seasons, touch the very heart and soul…through the memories of sights and smells and sounds and long ago times.